Jagan, seems to be keeping his options open, and has repeatedly stated on the campaign trail that he is ready to ally with any party as long as they grant Special Category Status (SCS) to Andhra Pradesh. Jagan Mohan Reddy had a public fallout with the Congress after the demise of his father YS Rajasekhar Reddy in a helicopter crash in September 2009. Though the Congress appointed K Rosaiah to succeed YSR, Jagan’s supporters pressurised the Congress to make the then 36-year-old Kadapa MP the chief minister of Andhra Pradesh. Konda Surekha, then AP women and child welfare minister was one of the first people to resign from the cabinet demanding that Jagan be made the chief minister. With Jagan’s supporters not willing to go back on their demand, the Congress legislature party in November 2009 said that the high command would decide the chief minister. The relationship with the Gandhi family had soured further when Jagan’s TV channel, Sakshi, targeted Sonia Gandhi. Many Andhra Pradesh leaders had then claimed that Sonia Gandhi and the Congress leadership had been influenced by Rosaiah and were also unhappy that Jagan had started the posturing soon after his father’s death. In a move clearly defying the Congress, Jagan went on Odarpu yatra from July 2010. The yatra that started in YSR’s birth anniversary saw Jagan trying to establish himself as a leader and garner support from both within the Congress and on the ground. Though K Rosaiah had given a diktat to congress leaders not to participate in the yatra, many did so. Finally, a year later in November 2010, Jagan quit as the Kadapa MP and his mother, Y Vijayalakshmi, quit as the Pulivendula MLA. It was also during this period of hostility with the Congress, that Jagan had several cases slapped against him, which are still being investigated by the Central Bureau of Investigation (CBI) and Enforcement Directorate (ED). In his latest affidavit, Jagan declared that he had 31 criminal cases which included seven cases under the Prevention of Money Laundering Act (PMLA), and 11 cases under the Prevention of Corruption Act and disproportionate assets pending against him. The YSRCP chief has often alleged that the cases were filed as an act of ‘vengeance’ by the then Congress government. In May 2011, Jagan launched the YSRCP. In 2014, the party managed to win 70 seats in Andhra Pradesh while the Congress was decimated, as the people of the state, upset with bifurcation, delivered their mandate. In January this year, TRS Working President K T Rama Rao had met Jagan and after a meeting that lasted close to two hours, the two politicians said that they were open to working with each other. 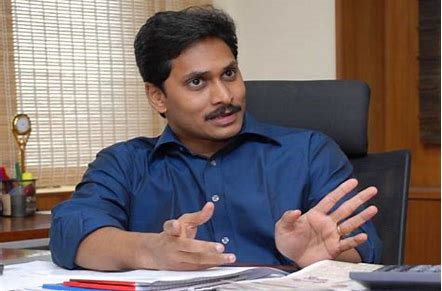 Jagan also extended his support to Telangana Chief Minister K Chandrasekhar Rao’s plans to form a Federal Front; a consortium of regional parties, which will present itself as an alternative to both the National Democratic Alliance (NDA) and the United Progressive Alliance (UPA). While observers generally assume that Jagan could go with the NDA or KCR’s Federal Front if a post-poll alliance was necessary, given his bitter history with the Congress, his latest statement could tilt the political scenario in the state. Be the first to comment on "‘I have forgiven Congress’, says YSRCP chief Jagan"